Pioneers in the industry, we offer converter_rt 232- 485 converter, unmanaged switches_eki-7526i, unmanaged switches_eki-2528, unmanaged switches_adam-6541, rfid reader/writer module_rt mfr255_232 and unmanaged switches_eki-2728i from India. RS-232 to RS-422 or RS- 485 converter is isolated converter for systems originally equipped with RS-232. 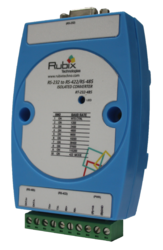 It transparently converts RS-232 signals into isolated RS-422 or RS- 485 signals. 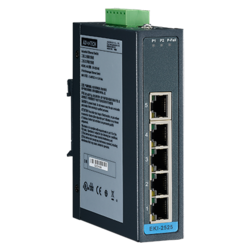 Provides 5/8 Fast Ethernet ports with Auto MDI/MDI-X . Supports 10/100 Mbps Auto-Negotiation . Provides broadcast storm protection . Provides compact size with DIN-rail/Wall mount, and IP30 metal mechanism . Supports redundant 12 ~ 48 VDC power input and P-Fail relay . Supports wide operating temperatures from -40 to 75°C (EKI-2525I/EKI-2528I). 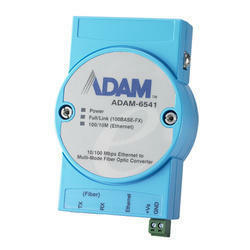 ADAM-6541 is designed to convert Ethernet networks to fiber networks. It does so by transparently converting Ethernet signals to optic signals. The advantages of fiber optics are wide bandwidth, EMI immunity and long-distance transmission capability. 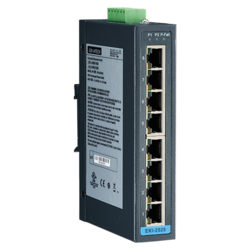 Therefore, ADAM-6541 is an ideal solution for “fiber to building” applications at central offices or local sites. ADAM-6541 supports MDI/MDIX auto detection, so you don’t need to use crossover wires. It also includes a switch controller that can sense the transmission speed (10/100 Mbps) automatically.Both the Ethernet port and the fiber port have memory buffers that support store-and-forward mechanisms. This assures data can be transmitted properly. ADAM-6541 is extremely compact and can be mounted in three different ways: DIN-rail, Wall and Stack. 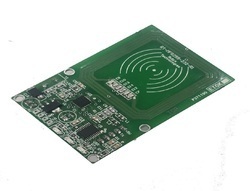 ADAM-6541 can work normally from 0 ~ 60°C and accepts a wide voltage range from +10 ~ 30 VDC. Besides, it also provides 3,000 VDC surge (EFT) protection against over-voltage, so it is suitable for harsh operating environments. 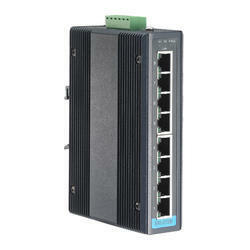 5-port Unmanaged Industrial Ethernet Switch 8-port. 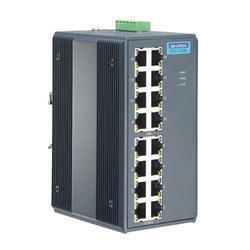 Looking for NETWORKING SWITCHES MODULES ?